Anchovies are important in both Asian and Mediterranean cuisine, where they serve as a "flavour enhancer" like MSG, but totally natural and much healthier! Of all fishes, I find anchovies particularly interesting. These small fishes are eaten almost universally - because they are found through the oceans of the world, except in very cold or very warm waters. And they are not just widely consumed by humans, but also by bigger fishes, birds and coastal mammals. This brings us to a good reason to pay greater attention to these little fishes. Because with greater ocean pollution, particularly from mercury, it has become somewhat unsafe to eat large fish that tend to have higher concentrations of mercury. Small fishes are preferable. Back to my fascination with anchovies... in Singapore (where I live) and other parts of Southeast Asia, we eat them completely differently from the way they are eaten in Italy, around the Mediterranean and in the United States. Here, we eat them as dried fish, called ikan bilis. In some cases, we eat the whole fish, with head, bones, guts and all. This is healthier because they contain more nutrients, including calcium from the bones as well as special nutrients found in the brain and other organs. Alternatively, we eat just the two sides of the body with the head, spine and guts removed. In Mediterranean and Western cuisine, the fish is normally eaten preserved in brine or salt and oil - and without the head, bones and guts. There is a big difference, too, in the price. In Southeast Asia, ikan bilis is cheap food, affordable even by the poor. In the West, it is a gourmet food sold in speciality food stores and delicatessens. A small jar or tin, containing less than 100 grams (including the oil in which they are preserved) can cost anything from $2 to over $20! 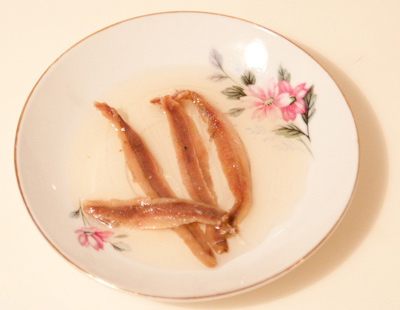 Yet despite the big differences, almost all cultures use anchovies in somewhat the same way. They are not so much eaten in their own right, but more as a "flavour enhancer" to enhance the flavour of other dishes. In Southeast Asia, ikan bilis is most often used to make soup stock. Sometimes, anchovies are also deep fried and served as a crunchy, delicious topping for fried rice or fried noodles. But by far, they are used to flavour soups and might even be discarded as most of the flavour would have gone into the soup. In Italian and other Mediterranean cuisine, anchovies preserved in salt and oil have a very strong flavour. Yet again, they not normally eaten for their own sake, but more to flavour sauces. And because of their very strong flavour, only small amounts are used. A pasta sauce for six people, for example, may call for no more than one or two ounces of the fish. This is akin to using the flavour enhancer, monosodium glutamate or MSG. The difference is that anchovies, unlike MSG, are totally natural and nutritious. The flavour-enhancing property of anchovies also makes it an ingredient in commercial sauces such as Worcestershire Sauce. And in Roman times, the fermented form of this fish was used to make a fish sauce called garum, which was considered the "supreme condiment". And this is another reason why I find these fish so fascinating - because throughout East and Southeast Asia, all the way from Japan and Korea to China, Vietnam, Thailand, Philippines, Malaysia and Indonesia, various types of fish and seafood sauces are also considered "supreme condiments". In fact, Chinese fish sauce, popular among the Hokkien (Fujian) and Teochew dialect groups in the coastal regions of south China, is said to be the origin of soy sauce. Fish sauce came first. Soy was added later and soy became more practical for those Chinese living inland. In Thailand, fish sauce is nam pla, in Laos and Cambodia, nam pa, in Vietnam, nuoc mam, in the Philippines, patis, in Malaya / Southern Thailand budu, in Burma ngapi, in Japan ishiru or shottsuru and in Korea, aek jeot which is an important ingredient for kimchi. And, oh yes, in Indonesia it is called ketjap ikan, meaning "fish sauce". This is where the modern English word "ketchup" comes from, although it refers to something quite different! Ketchup is, in fact, one of the very few English words derived from Indonesian. Most of these fish sauce - as well as paste and solid blocks - are made from anchovies or sometimes a mixture of different small fish. There are also sauces made from shrimp, cuttlefish and krill! So you see how important these small fish are, in both Eastern and Western cuisine. And there is a good reason for its role as a flavour enhancer because anchovies, and fish sauce, are rich in glutamates, the very substance that serves to enhance flavour the way MSG does. Just don't let the makers of MSG fool you into beliving that MSG is healthy because it contains the same chemical substances as many traditional foods. 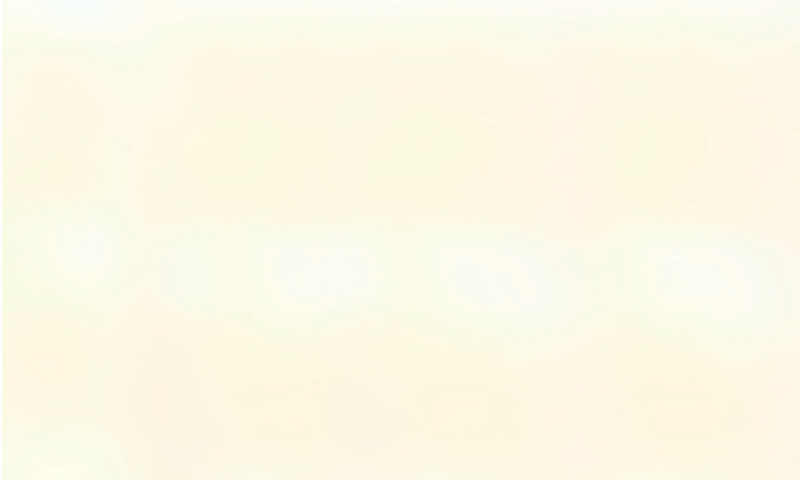 Natural and synthetic glutamates are totally different and have different effects on the body. I had originally written this article for my Pasta Recipes website, which I have since merged with this website on "Best Natural Foods". So allow me to share two recipes using anchovies in pasta. One is what I call the subtle way, where it is used to subtly enhance the flavour of a simple sauce, as in this recipe of pasta with anchovies and tomato. The other I call the "passionate" way that marries anchovies with capers, olives, chilli and other strong-tasting foods.